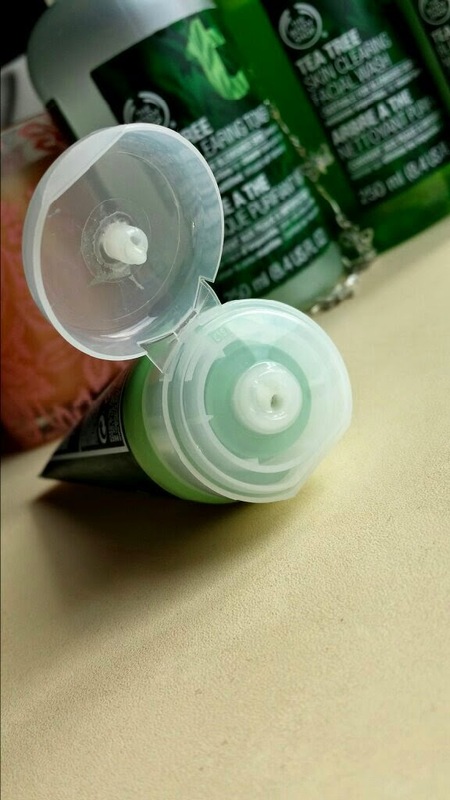 The Skin Clearing Lotion comes packaged in a small green tube that fits either 15ml or 50ml of product. It is designed to provide light hydration whilst helping to visibly clear skin. 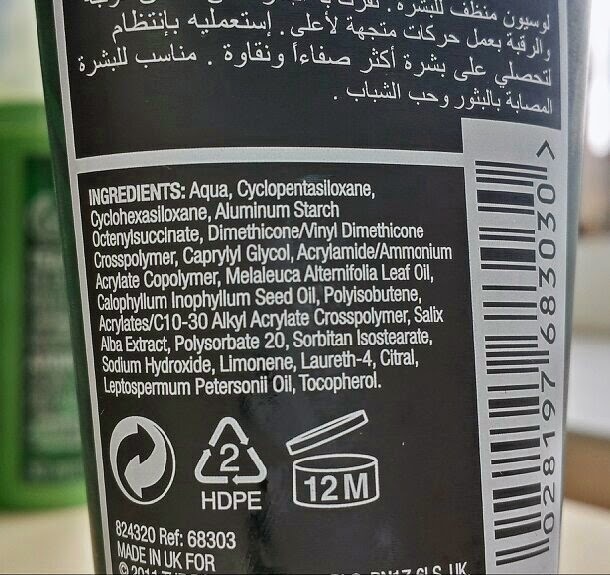 It also contains Aluminum Starch Octenylsuccinate which absorbs excess oil and mattifies skin. The lotion is a dark white colour and absorbs into skin easily and quickly. Upon application, it provides a comforting, cooling and mattifying effect on the skin. A few seconds. Squeeze it out of the tube, apply to face. 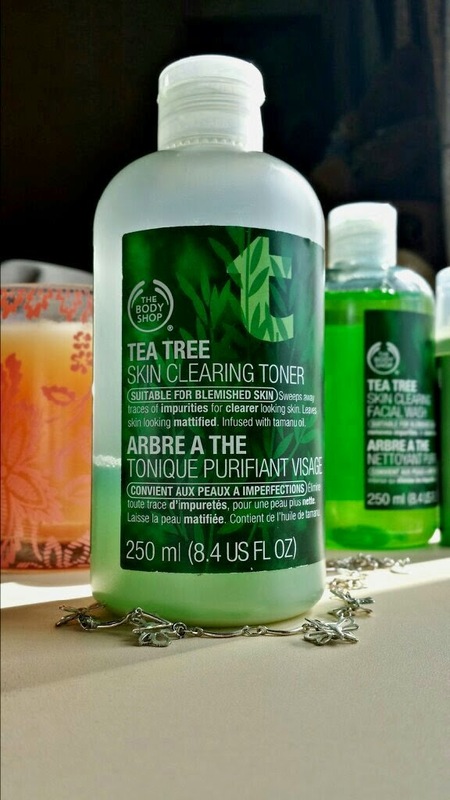 The Tea Tree Toner helps to remove makeup and impurities on the skin whilst also creating a mattifying effect. 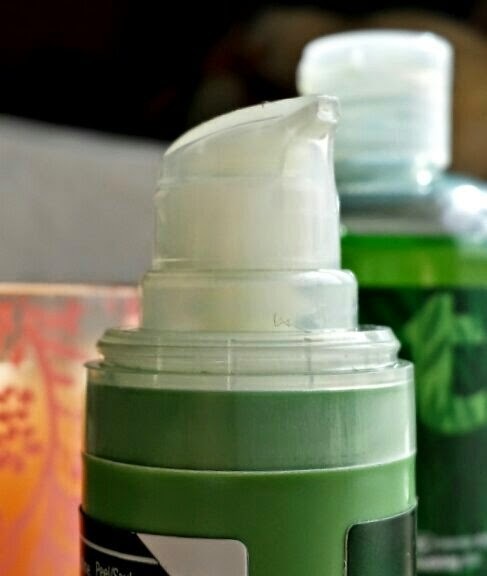 The lotion is green in colour with thick, white powder at the bottom of the bottle. It comes in a 250ml size. Before use, you need to shake the bottle vigorously to “activate” the mattifying powders before applying to a cotton pad and sweeping over the face. It also has a cooling effect. A minute or so. I say that because when you first begin to use this the white powder can be a nightmare to mix up into the rest of the lotion because there is so much in the bottle. If you imagine shaking a full bottle of water in comparison to a half bottle of water, you will get what I mean. When the contents begin to get lower the time reduces. 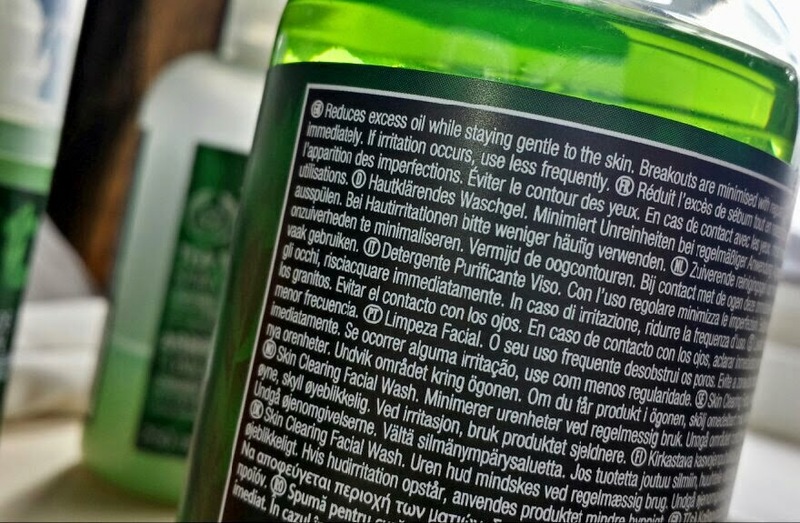 This face wash is made to combat excess oil without over-drying your skin. 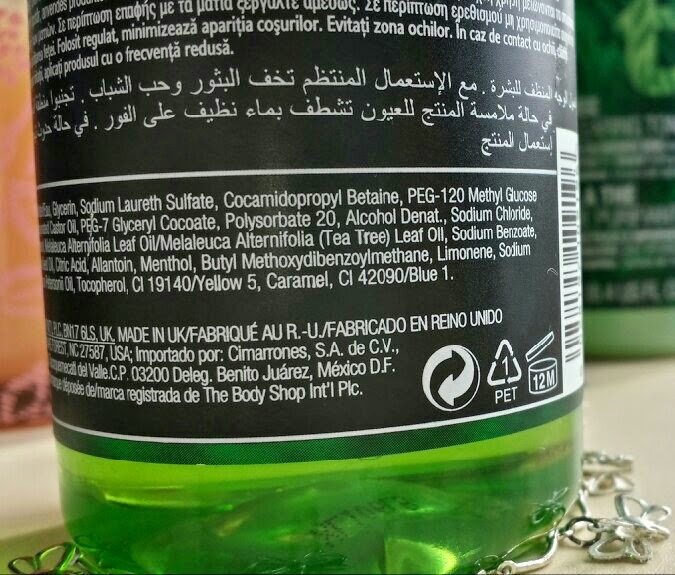 It also contains menthol that creates a soothing, cooling effect as you wash. 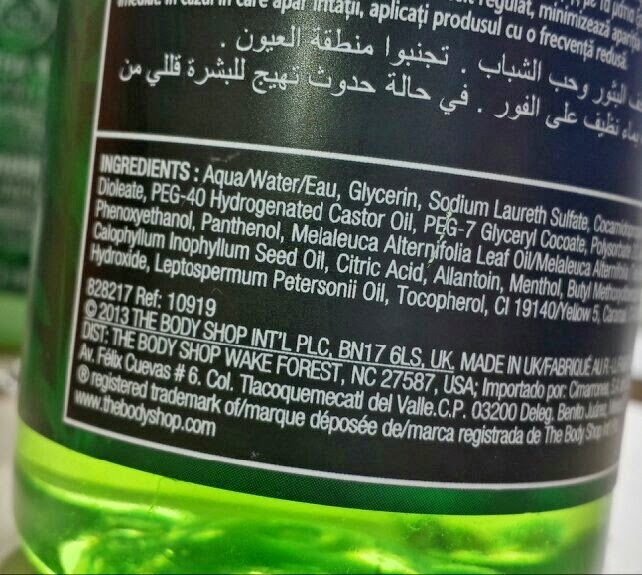 The wash is also contained in a 250ml sized bottle and is dark green in colour. 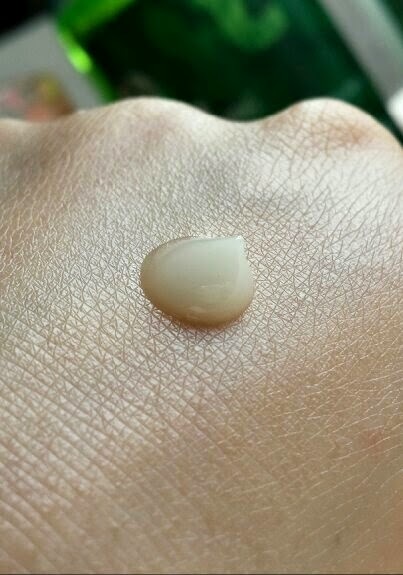 It is a thick, gel-like consistency and foams up incredibly well. A little goes a long way so it lasts for ages. A minute or so when counting wetting face and rinsing, too. This lotion provides overnight moisture whilst antibacterial agents work together to help in clearing your skin. The skin is left feeling matte. This comes packaged within a 30ml sized tube that has a pump top covered by a plastic lid. The cream itself is a white-yellow colour and soothes your skin, absorbing quickly. If you don’t get much time to sleep your days can start to feel sluggish and your skin begins to feel tired too. If you also suffer from oily, blemish prone skin, you end up feeling like you spend most of your time blotting your face or refreshing your skin anyway, but when you’re tired everything just seems to feel worse at a much faster rate! You feel like you need to combat the shine twice as often and your skin just feels awful. 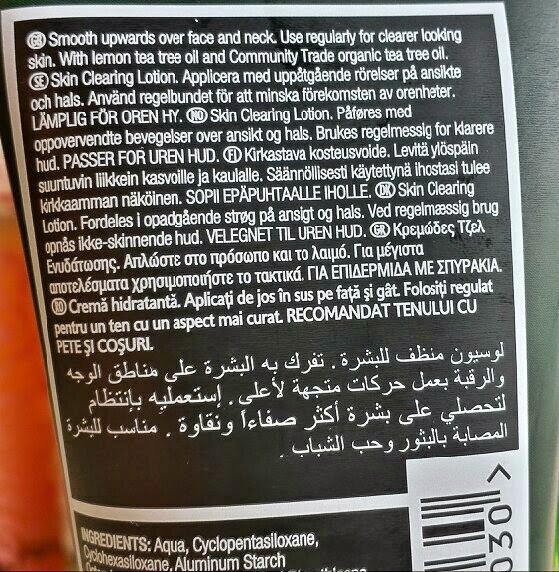 The Tea Tree range of products from The Body Shop is great in regards to both of these issues. The cooling effect provides instant replenishment and a well appreciated freshness whilst mattifying properties help to keep the oil to a minimum. Blemishes are reduced and so is the discomfort that comes with them. In more simple terms, you just feel cleaner. 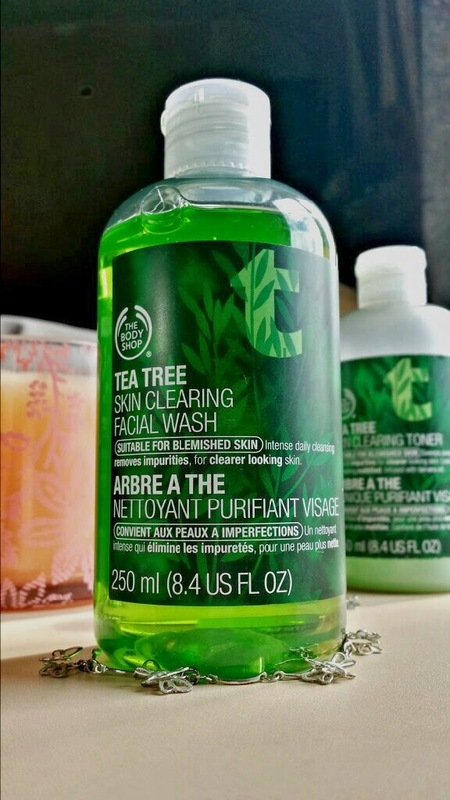 I have tried so many different products from all sorts of price points that claim to do the same thing as the Tea Tree range, but I always find myself reverting back to these products. I haven’t found all of my skin issues to be completely gone, but the results that I get from these products do work to a fantastic degree. Most importantly though, they make skin feel more comfortable. There are less touch-ups throughout the day, they help to wake you up in the morning and refresh you before sleep. 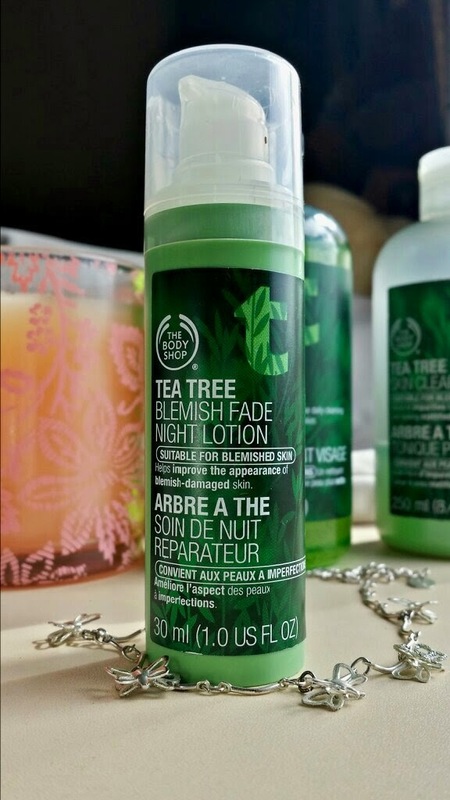 The night lotion is also a hard worker and it really does help to reduce marks left behind by blemishes. For the hotter days of the year I really love adding a few drops of peppermint and lavender oil into the toner. It helps with the cooling and soothing effect and provides more of a refreshment, especially in the mornings! It is because of these reasons that I think they’re so great for women on the go. 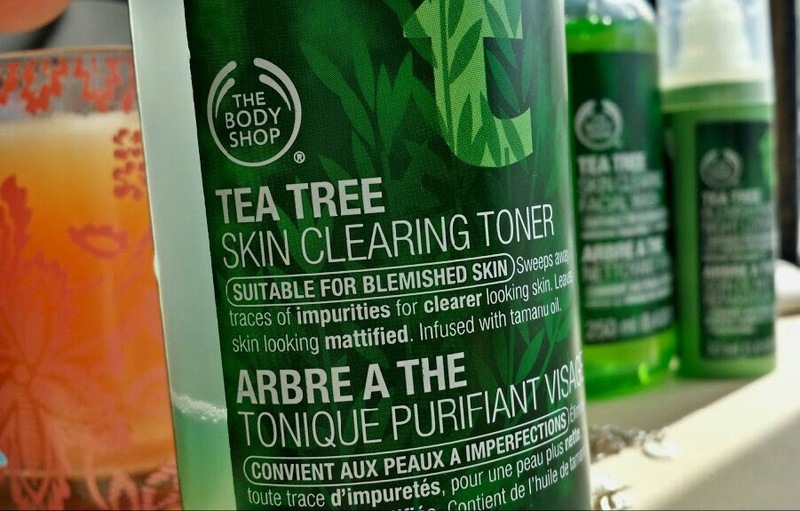 Even if you only get 10 minutes to get ready, the instant refreshment of the Tea Tree range can make you feel as if you have spent much longer revitalising your skin and waking yourself up. It’s a major double benefit if you do suffer from oily, blemish prone skin as you know that both issues are being combatted both whilst you go about your day and whilst you sleep. The best part though? All of the products are inexpensive! 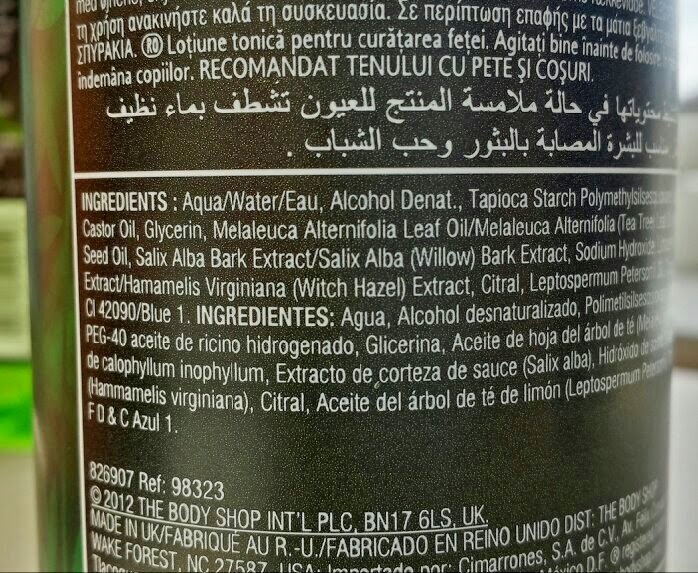 Also, at the time of writing, The Body Shop are holding a 40% off everything sale. If you haven’t tried the range and you are considering it, definitely look at buying it during this time! 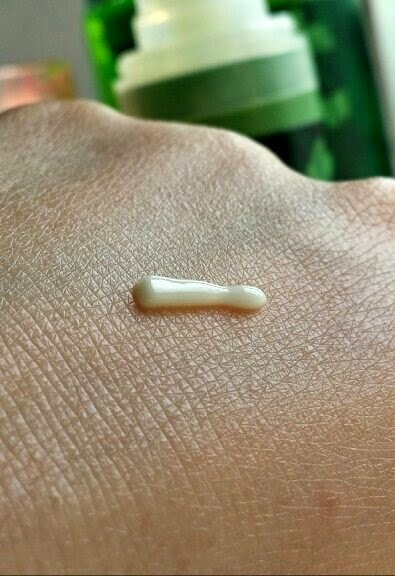 The skin clearing lotion can be bought in a smaller, travel sized tube if you want to test it out first. It costs £3 for 15ml which is the original price without the 40% discount. For a full size, 50ml tube, it costs £8, also without the discount. The facial toner is £5 for 250ml, as is the face wash. The night lotion is the most expensive product at £9 for 30ml. Again, these prices are without the 40% discount. The range also includes a whole collection of other products that all compliment each other. 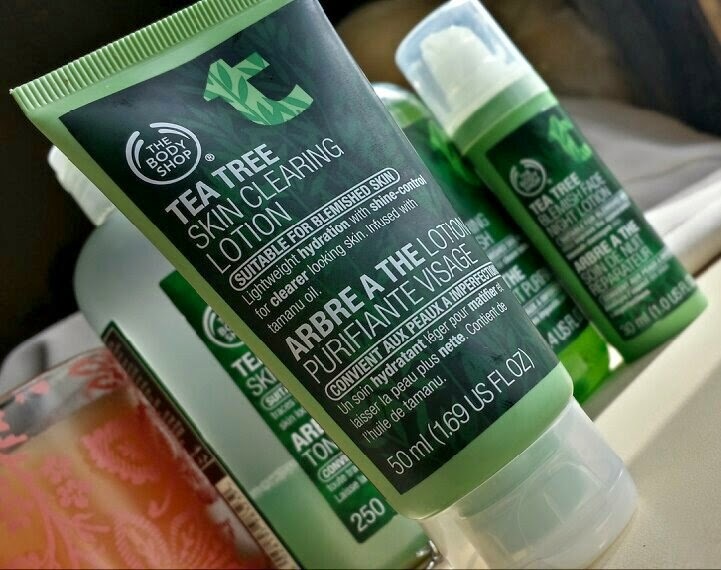 Have you tried the Tea Tree range? What do you think of the products? Disclaimer: I bought all of these products myself and all opinions are my own. lovely thorough review with nice photos! 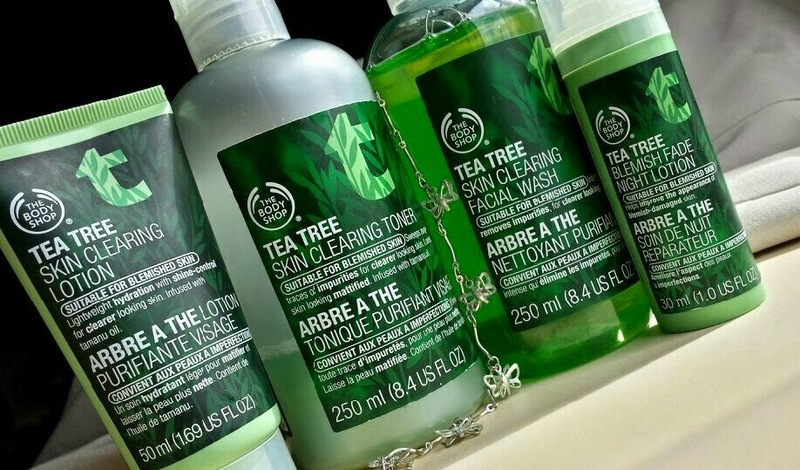 I've always wanted to try the tea tree range but keep forgetting to pick it up whenever I'm out! 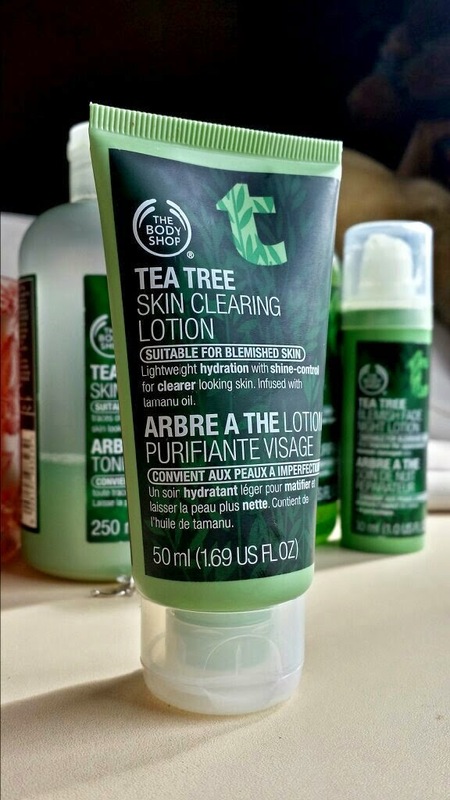 I usually order online as there are always voucher codes available for The Body Shop recently! I personally love the "Spend £50 get £25 off!" I go a little mad for those ones and stock up!